For suppliers to the co nstruction industry, Constructionline means that we no longer need to repeatedly fill in standard pre-qualification forms for every construction tender. Constructionline has continued to play a vital role in improving and simplifying the PQQ process… Constructionline continues to provide a critical business improvement tool. Exor provides flexible and responsive products that help reduce risk within the supply chain by implementing a rigorous programme of conformity within organisations, giving client peace of mind by verifying suppliers on a wide range of compliance issues. SMAS Worksafe Scheme is an effective way of demonstrating our Health and Safety competence and gaining a nationally recognised H&S certificate from a SSIP Member SchemeHolding a valid SSIP Member Scheme certificate means that we have demonstrated our Stage 1 H&S competence by meeting the ‘core criteria’ as set out in the Construction (Design and Management) regulations or the H&S module in PAS91. 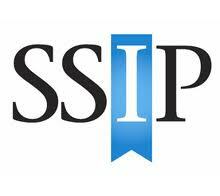 SSIP has been able to cut pre-qualification costs and bureaucracy in the supply chain. With the ever-present prospect of government legislation to reduce wasteful and excessive pre-qualification, SSIP is concentrating on making cross-recognition of member schemes as effective as possible, and on highlighting the resulting savings to the supply chain. SSIP has been specifically highlighted as a key route to health and safety pre-qualification in the 2013 edition of the Government-backed construction pre-qualification document PAS91. Contractors Health and Safety Assessment Scheme (CHAS) are dedicated to completing health and safety pre-qualification assessments to a nationally recognised and accepted threshold standard. 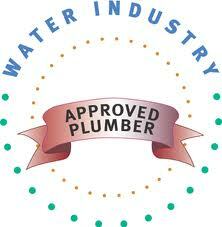 We are approved plumbers under the Water Industry Approved Plumbers’ Scheme (WIAPS). WIAPS is funded by sixteen Water Suppliers to administer an approved plumber’s scheme for them. In order to become a WIAPS member, applicants have to demonstrate that they have been suitably trained as a plumber; that they have adequate knowledge of the Regulations by passing an assessment and they must be able to confirm that they have appropriate insurance cover. The WaterMark approved plumber/contractor scheme is run and administered by Severn Trent Water. Other water undertakers in alternative areas of supply may have chosen to run their own approved plumber/contractor schemes too. WaterMark members have to demonstrate they have been suitably trained, passed a water regulations assessment on their knowledge and application of the Water Supply (Water Fittings) Regulations 1999 and have public liability insurance. From the point of view of pipeline engineering in all its aspects, the Pipeline Industries Guild is the place where the disciplines meet, and where leading-edge technology is discussed, analysed and disseminated. The Environment Agency is responsible for the aquatic environment and the monitoring of all discharges into rivers, streams and the sea. It also protects the environment by controlling abstraction from rivers, streams and underground sources. Where standards are breached or pollution occurs, it too can prosecute. Wrongly connected or misconnected plumbing takes dirty water and sewage from our homes and pumps it straight to our local rivers and beaches. HMS Water follows all Environment Agency guidelines. The Chartered Institute of Plumbing and Heating Engineering (CIPHE) is the professional body for the UK plumbing and heating industry. The WaterMark approved plumbers scheme ensures you get highly skilled tradespeople. All plumbers have all been trained and tested to make sure they meet Severn Trent high standards. If Severn Trent customers are in need of a plumber, they will recommend that they contact members of the WaterMark approved scheme. 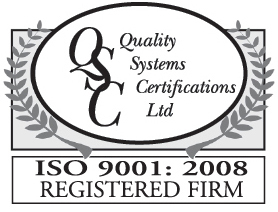 ISO9001:2008 is an International Quality Management Standard which companies can use to demonstrate their ability to meet their customer’s requirements. In order to meet the requirements of the Standard, your business will need to have in place a documented Quality Management System and to be able to demonstrate its implementation and ongoing maintenance.